The hit Nickelodeon show The Legend of Korra will continue on into a second season, according to EW. While the series is already slated to return next year as Season 1 Book 2, a second season has now officially received the green light. The series, from Avatar: The Last Airbender creators Michael DiMartino and Bryan Konietzko, takes place 70 years after the events of The Last Airbender and follows the adventures of the Avatar after Aang – a passionate, rebellious, and fearless teenaged girl from the Southern Water Tribe named Korra. 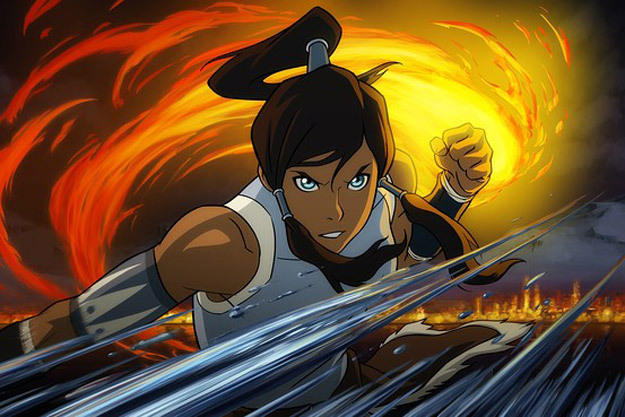 With three of the four elements under her belt (Earth, Water, and Fire), Korra seeks to master the final element, Air. Her quest leads her to the epicenter of the modern “Avatar” world, Republic City – a metropolis that is fueled by steampunk technology. It is a virtual melting pot where benders and non-benders from all nations live and thrive. However, Korra discovers that Republic City is plagued by crime as well as a growing anti-bending revolution that threatens to rip it apart. Under the tutelage of Aang’s son, Tenzin, Korra begins her airbending training while dealing with the dangers at large. The series is voiced by Janet Varney, Kiernan Shipka, Daniel Dae Kim, David Faustino, Seychelle Gabriel, Lance Henriksen, P.J. Byrne and J.K. Simmons.